Throughout Ireland the visitor will find many ancient places to explore including the Newgrange passage tomb (built ca. 3200 BC, it’s older than the Pyramids) to Glendalough (built in the 6th century AD, about 200 years before St. Patrick arrived). Every part of Ireland contains places that are many centuries old. Southeastern Ireland is home to a number of such places. Here are three of my favorites. The Rock of Cashel began as the 5th century AD seat of the kings of Munster, one of the four ancient kingdoms of Ireland. This was the place where the kings of Ireland were crowned. It became a religious site in the 12th century, home to the chapel of the king, Cormac, and later the location of a cathedral. It was besieged by an army under Cromwell in 1647 which caused the deaths of 3000 of its inhabitants. 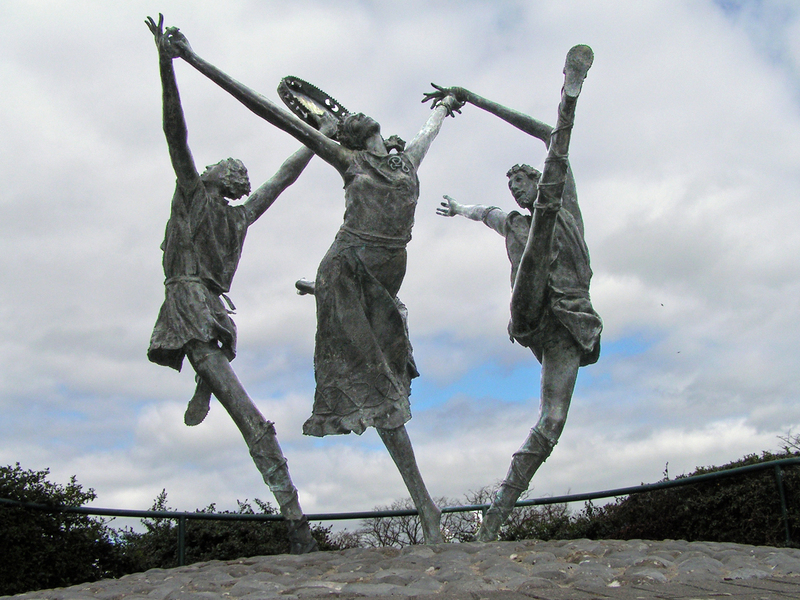 Today it is Ireland’s most visited tourist site. 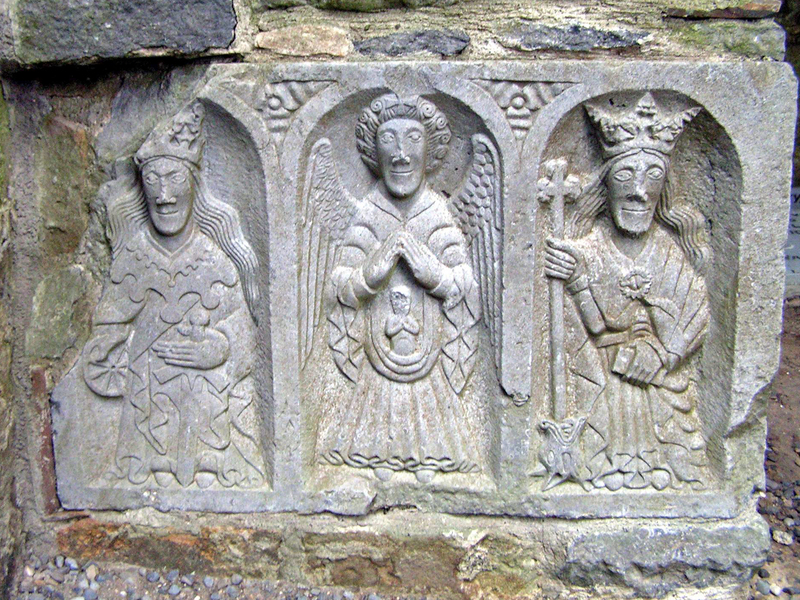 I encourage you to google “Rock of Cashel” and to find the many excellent images of it online. The image I like best is not of something ancient. It is found at Bru Boru, a center for the celebration and sharing of Irish culture and music which is located adjacent to the Rock. I love the spirit of this sculpture which is found at the center’s entrance. Here’s a good site for learning more about Cashel and other places of religious importance in Ireland. 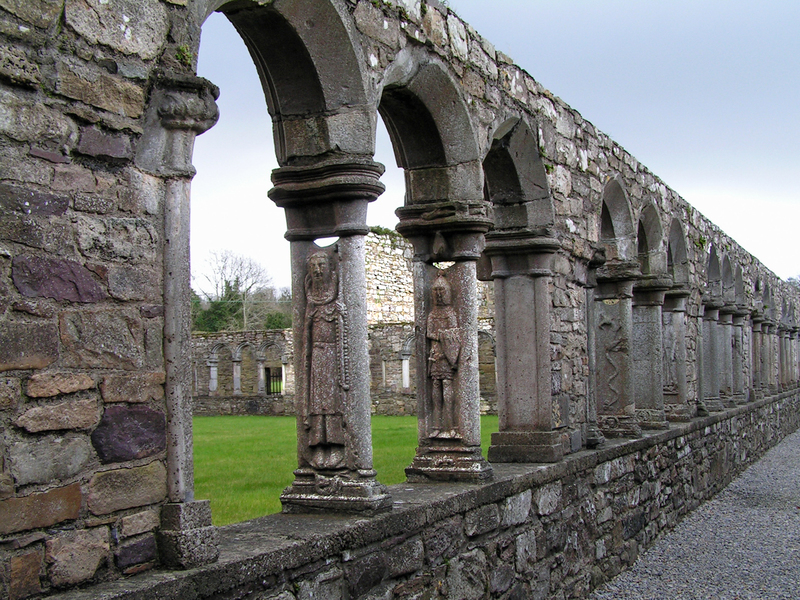 Jerpoint Abbey is located near Thomastown, a few miles south of Kilkenny. It was founded in 1158 and the existing building dates from the 13th century. Although its roof is long gone, it is one of the best preserved ancient religious buildings in the country. I love the primitive sculpture found on the abbey’s walls, its ancient tombs and its fine cloisters. The photo at the top of this post shows one of my favorites (known as “the Weepers”) and below you can see the carving in the cloisters. Wikipedia’s entry about Jerpoint Abbey is particularly good. 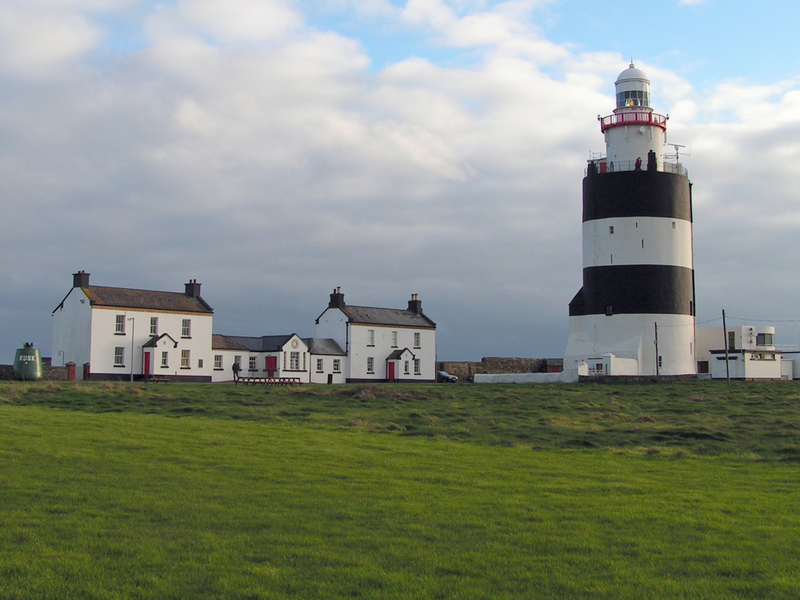 The oldest lighthouse in Ireland – and some say the oldest functioning lighthouse in the world– is found the edge of the Southeastern Coast. Hook Lighthouse is 800 years old. Its walls are four meters thick – that’s 13 feet! An excellent history of Hook Light is found on Wikipedia. This site, Hook Heritage, offers good information and a 360° view from the top of the light. The Office of Public Works in Ireland provides well-trained guides at each of these locations and all the others that are property of the national government. Tip: The OPW’s Irish Heritage Card provides for free admission to all (but one) fee-paying state-managed Heritage Sites located throughout Ireland for one year from the date of first use. The card costs on €25.00 for adults and €20.00 for those age 60 years and over. This has to be the best priced card providing access to the most attractions in Europe. It’s available at the entrance to any of the sites it covers. This entry was posted in Ireland and tagged Hook Lighthouse, Jerpoint Abbey, Rock of Cashel, Southeast Ireland by Libbie Griffin. Bookmark the permalink.